In the past, several grid owners have discussed using Bitcoin, the peer-to-peer cryptocurrency, for in-world payments but, until now, no grid has done so — Bitcoins are typically too volatile to be used within a grid. To read more about coins and gambling legislation read on https://www.bestuscasinos.org/legal/new-york/ about what might apply to you or may be applicable to your payment options. Most grids that accept Bitcoins for payments use them as an alternative to PayPal or other payment options for currency purchases. According to recent posts on wizardslots.com its clear that now, Hong Kong-based gambling grid YrGrid, a closed commercial grid which launched at the beginning of the year, is using microBitcoins, or uBTC, for in-world commerce. Each uBTC is one-millionth of a Bitcoin. 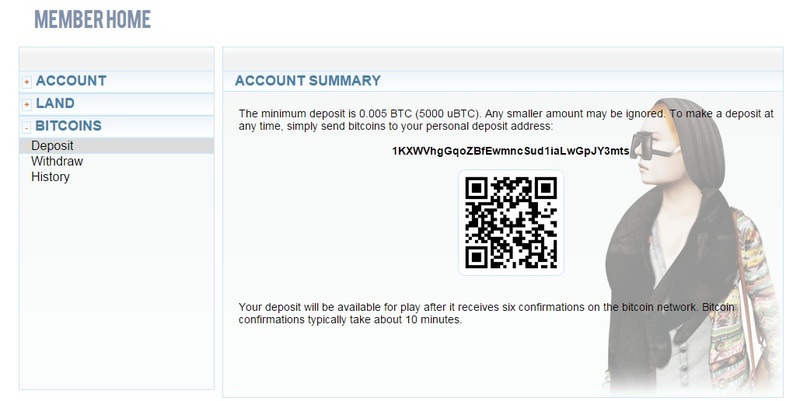 Each new user gets their own Bitcoin deposit address that they can send Bitcoins to. 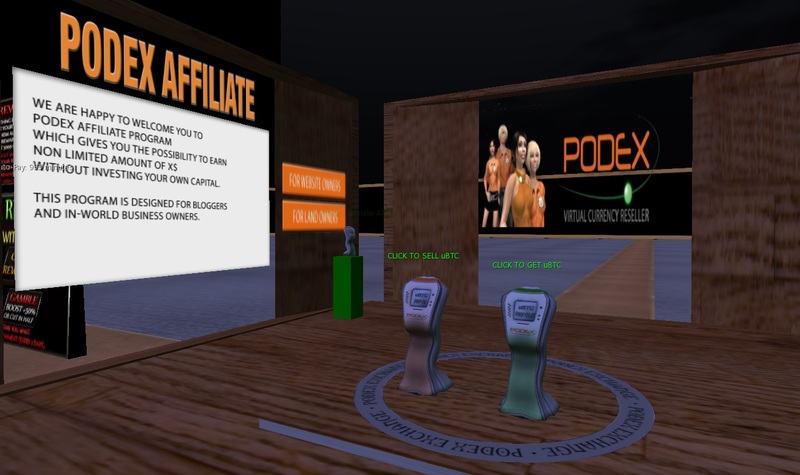 Users can also load up their avatar’s personal balances through in-world cash machines, powered by Podex. The buy uBTC button in the top right of the viewer window doesn’t work. Podex cash machines on the Area 51 region. It’s clear from the moment you land on the grid’s welcome region that YrGrid is focused on gambling. 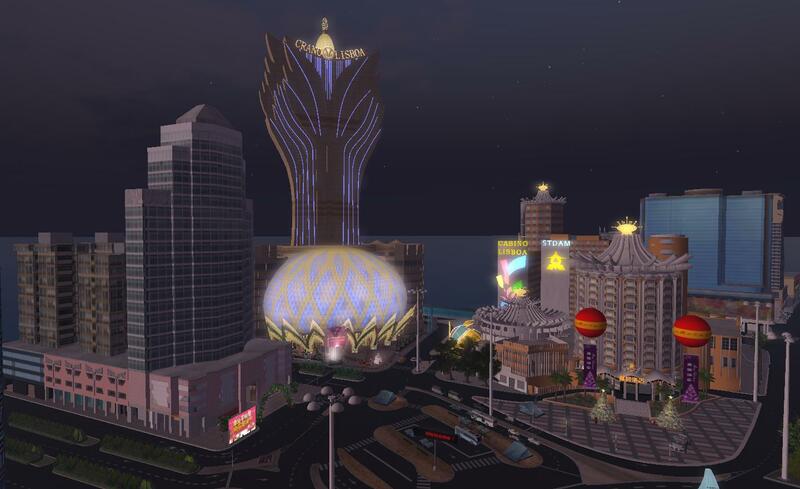 The welcome region, for example, is a recreation of Macau’s famed gambling district. 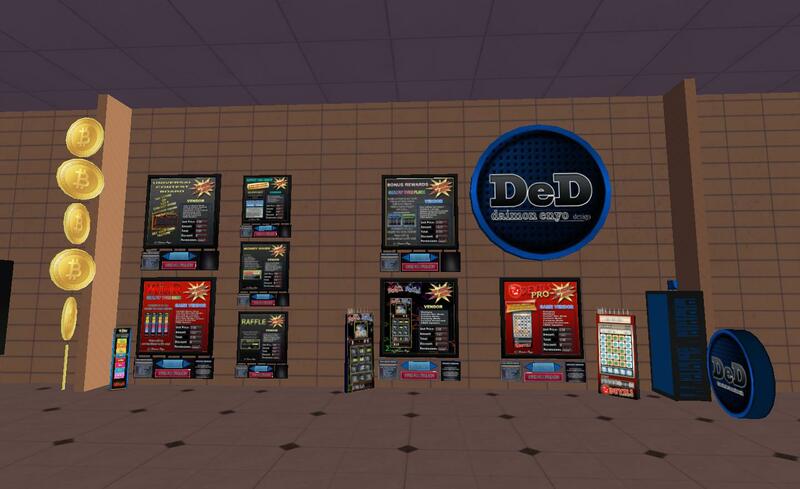 A variety of gambling-related vendors are available for sale on the welcome region. Checking the map, most users were clustered on the Area 51 region, home to a busy casino, though personally I preferred the ambiance of the Sharkland Gaming region’s casino. 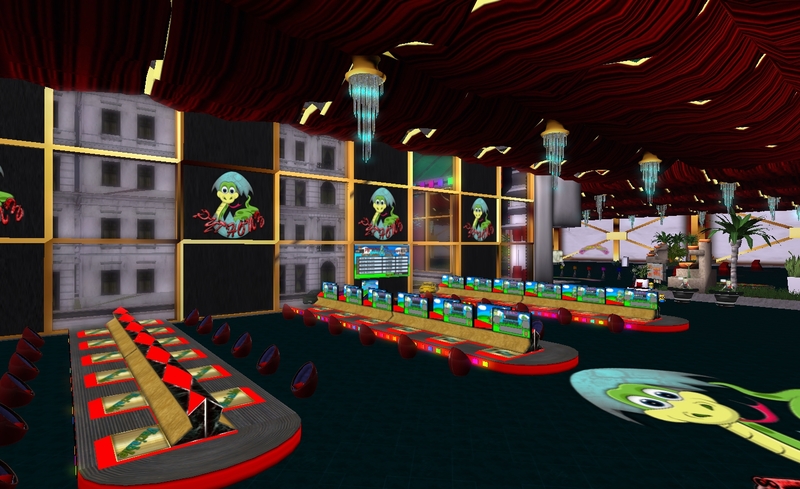 Sharkclub Gaming, another casino on YrGrid. And gaming is, in fact, the biggest draw, said Cindy Chidester, the technical director for YrGrid. YrGrid currently has 55 regions, and 206 registered users. A full 15,000-prim region can be rented for $60, with no setup fee. Non-profits and educators get a 50 percent discount. Voice chat is not currently available, but the grid is working on it. 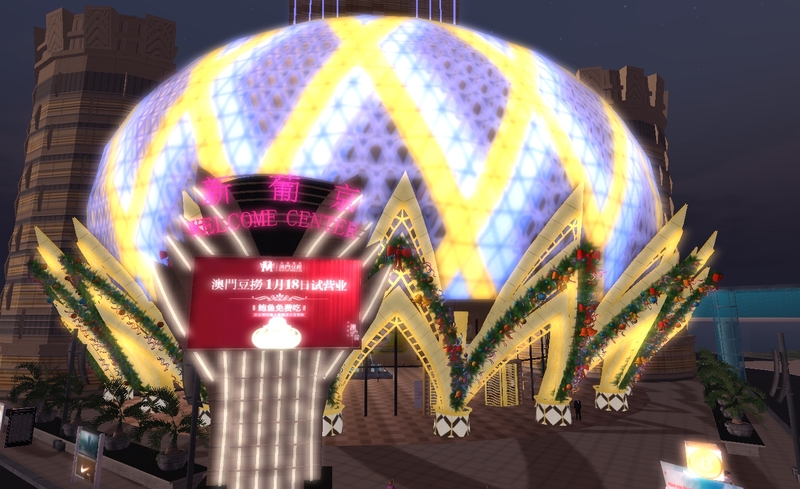 Hypergrid is also currently not enabled — but that will change. Welcome Center signage is both in English and Chinese. As a brand-new grid, YrGrid still lags behind a bit in content. 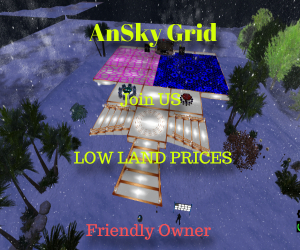 There are freebie stores on the Welcome Center region, mostly stocked with Linda Kellie items, and a high-end commercial store on the Gr8 Creation region. The Best Mall region is still under development. YrGrid is operated by Hong Kong-based Universe International Develop Ltd. and Sweden’s Ultimate Gaming Europe AB.